If you are facing a 4th DUI Offense in Pittsburgh or Western Pennsylvania, you've been through the system before. Perhaps you started off with ARD on your 1st offense, house arrest for your 2nd offense, and a DUI court program for your 3rd offense. Now that you've picked up your fourth DUI charge, you think think that you'll be able to seek treatment and get put on house arrest again. You're wrong. PA law treats 4th DUI offenses differently from 3rd DUI offenses, even though the mandatory minimum sentences are usually the same. What jail sentence am I facing for a 4th offense DUI? Based upon recent changes to Pennsylvania law, a person charged with his or her 4th DUI Offense within the last 10 years will now be charged with a 3rd Degree Felony punishable by a maximum sentence of up to 7 years in prison. Mandatory minimum sentences, or the lowest sentence you can receive under PA law, are still controlled by the tier of your offense. If it's your fourth DUI offense, and you have a BAC of a .08-.099%, you are facing a 10 day mandatory minimum jail sentence, maximum sentence of up to 7 years in jail, a 1 year license suspension, and fine ranging from $500 to $5,000. For a fourth DUI offense where your BAC is a .10 to .159%, or you have been involved in a DUI accident, you are facing a 1 year mandatory minimum prison sentence and a maximum of up to 7 years in jail, an 18 month license suspension, and fine ranging from $1,500 to $10,000. For a fourth DUI offense where your BAC is a .16% or higher, you are charged with a DUI drug offense, or you have refused chemical testing, you are facing a 1 year mandatory minimum prison sentence and a maximum of up to 7 years in jail, an 18 month license suspension and a fine of $2,500 or more. Can I receive house arrest for my 4th offense DUI in PA? No. Under Pennsylvania law, you can never receive house arrest if convicted of a 4th offense DUI. You will be forced to serve your sentence in state prison or the county jail. How do I determine if my case counts as a 4th offense DUI? 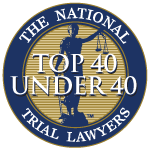 Under recent changes Pennsylvania law, the incident date of your 4th DUI offense must have occurred within 10 years from the date of your prior sentencing or ARD acceptance on your prior offenses. For example, let's say you were charged in 2018 with a DUI, and accepted ARD on your first offense in 2007, plead guilty to your 2nd DUI in 2010 and your 3rd DUI in 2015. Under this scenario, you would be facing a 3rd DUI for sentencing purposes even though this would be your 4th lifetime DUI, where you would be eligible to receive house arrest. What should I do if I'm facing a 4th offense DUI in Pittsburgh? Hire a lawyer immediately. If you are facing a fourth DUI within the last 10 years, don't wait until you get charges in the mail to start building your defense. You need to get a lawyer on your side quickly to help fight for your freedom. Your lawyer will likely recommend that you pursue inpatient alcohol rehabilitation. At the Zuckerman Law Firm, we have had recent success at trial on 4th DUI cases. As noted on our DUI overview page, there are many types of defenses that can apply to your case. Call us today at 412-447-5580 for a free consultation.